My SJ is a STEM girl through and through and I unfortunately am not. I see I am going to have to keep up with programs and classes in our area as she gets older. Today she was asking to do an experiment. I really like to give them some room to participate in what we learn. Since there is no (or very minimal) common core directives for science in kindergarten this is a great place to let the kids flex their freedom. First we defined experiment. SJ said it was trying something for the first time. KJ said its going faster and slower. Um….okay. 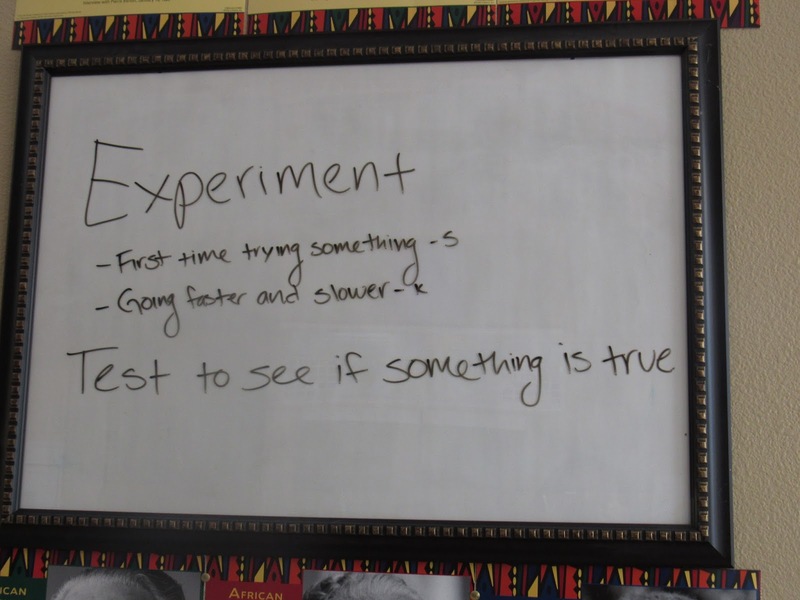 I explained that an experiment is a test to see if something is true. 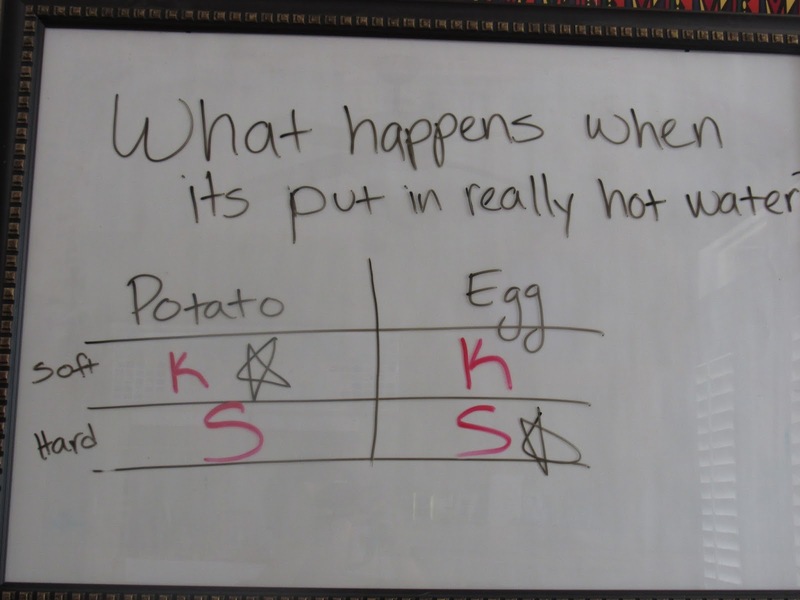 We decided to see what would happen if you boiled an egg. 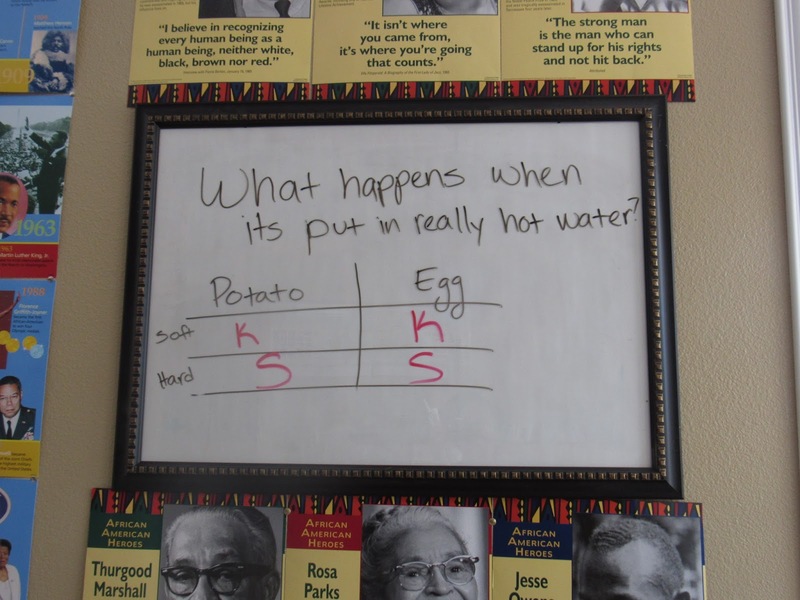 We also wanted to know what happens when you boil a potato. I let the kids handle both them state their hypothesis. As you can see KJ though they would both be soft and SJ thought they would both end up hard. I let the kids prepare the experiment. The more hands on they are the more they retain. They waited a whole 20 minutes which is really long when you are 3 and 5. As soon as the potato was soft I removed it from the heat and put in on a plate to cool. 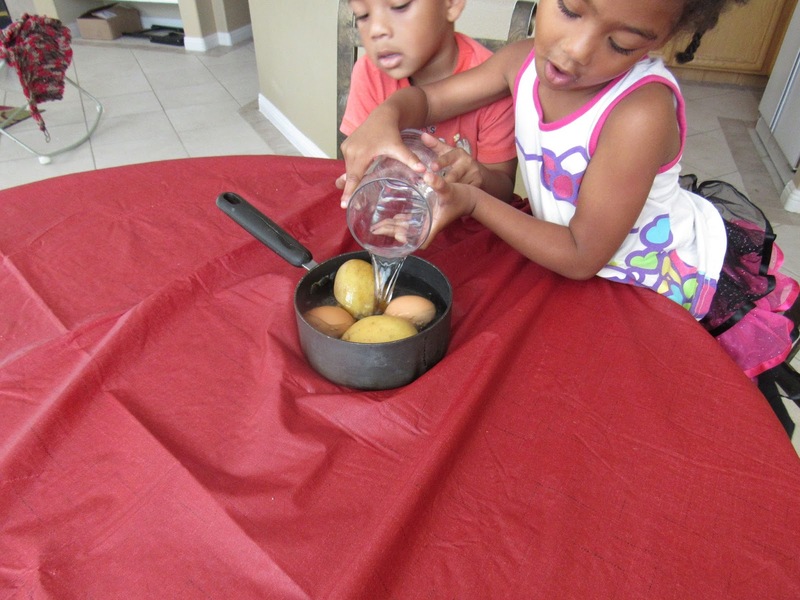 The kids got to squeeze the potato and peel the egg. 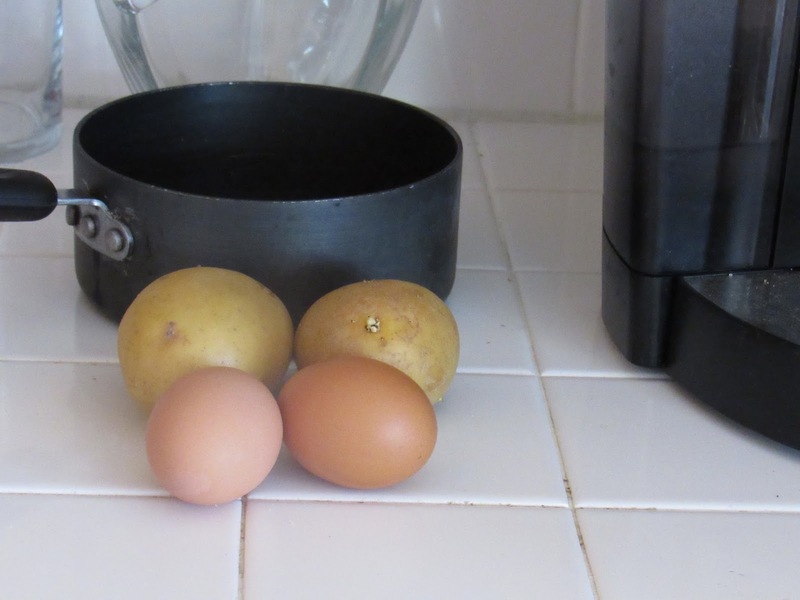 The kids were excited to see that the proteins in the egg bind together when heated and the starches in the potato break down. I then let them act it out. When I yelled protein they stuck together. When I yelled starch they ran away from each other. Both my kids have a hard time staying still and since science is at the end of our day I try to limit frustrations from all parties by keeping them up and moving as much as I can. 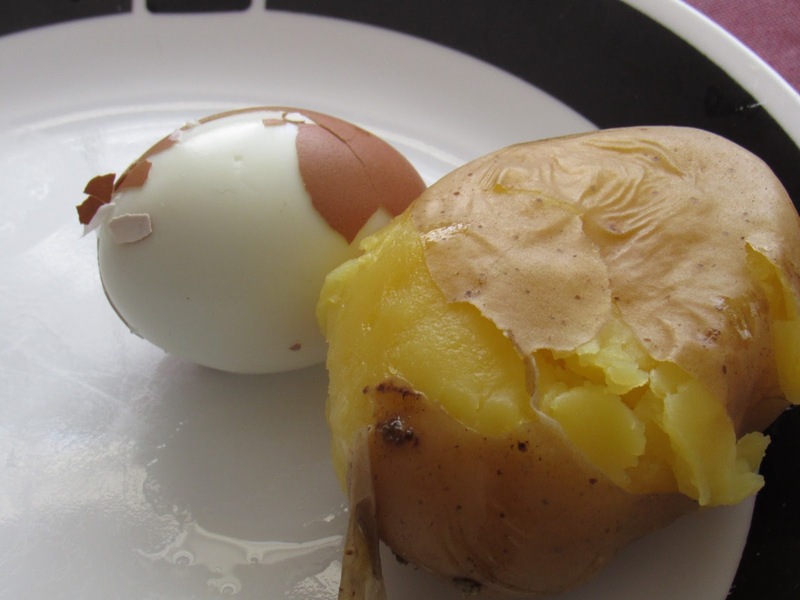 We had cooked potato and cooked egg the natural progression was to let the kids make their own lunch. 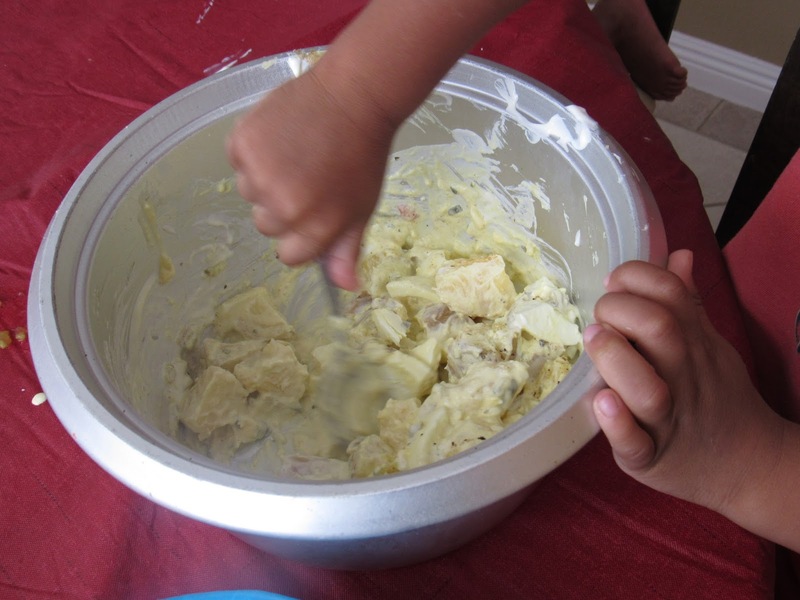 Potato salad! They loved being able to cook for themselves.